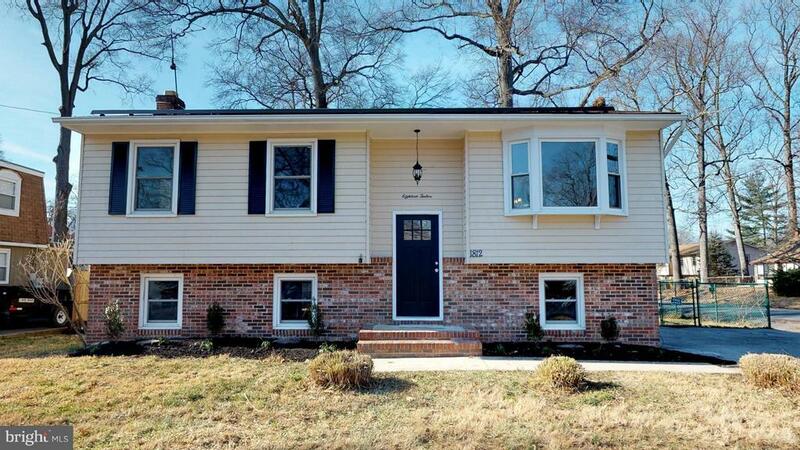 Newly renovated single family home with designer touches! Beautiful hardwood flooring throughout the main level. Updated kitchen with stainless steal appliances, granite counter tops, recess lighting, and custom white maple soft close cabinets. Updated bathrooms with custom title. Custom wrought iron railing, walk out basement, deck, fenced in back yard, large parking pad, wood burning fire place, solar panels. Brand new HVAC and hot water heater. Minutes from Annapolis, DC, and Baltimore. Courtesy of Fathom Realty Md, Llc.